One Team Makes the Difference! It's not too late to give! Make your gift today to support UM Capital Region Health. 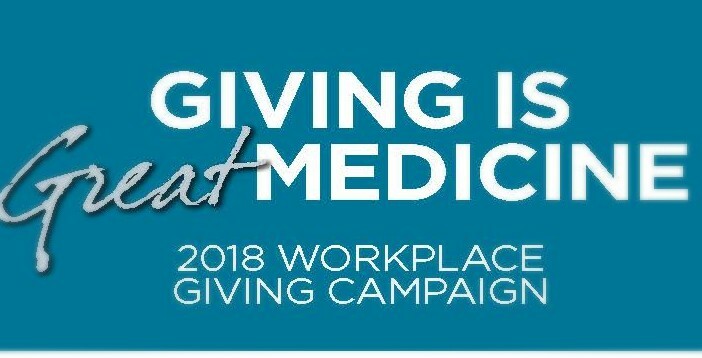 We are proud of the numerous acts of kindness our workplace team at University of Maryland Capital Region Health exhibits each and every day toward our patients, their families, and among workplace members. These acts of kindness translate into best outcomes, sharing of new ideas, quality improvement, implementing better approaches to our work as a team and toward our vision as University of Maryland Capital Region Health. The promise to deliver quality medical services and health programs to our community is made even stronger by supporting UM Capital Region Health Foundation in a personal way, which in turn, benefits our medical facilities over and above already planned resources. Payroll Deductions. Donate through a one-time or recurring payroll deduction. Complete the Online Payroll Pledge Form. On-Line Donations. To make a secured one-time or re-occurring donation using your credit card, click on Donate. Payroll Deductions Add Up! Here is an example of what our UM Capital Region Health Workplace Team can achieve together. Payroll deductions start with the next pay-period after submitting your payroll pledge form. Determine your gift pledge shown below or determine your own level and sign up! Pledge or Give Online, Mail-in or Stop by the Office of Philanthropy to make a secure credit card donation. Examples provided are for 26 payroll weeks only to illustrate the power of giving! You may change or opt-out of your donation at any time by sending written notice to the Office of Philanthropy, Keisha Thomas, Donor Relations Manager (keisha.thomas@dimensionshealth.org). Legacy Giving. Establish a planned gift that provides for future donation through your Will /Estate Plans or one of the many tax-beneficial planned giving programs. For more information, click here. Special Events. Join us at one of our special events by purchasing a ticket, sponsoring the event, participating, or by volunteering your time. For more information, click here. Memorial Giving. Make a gift in memory of a family member or friend, or in honor of a special occasion such as a birthday, wedding, or holiday gift. To make a Memorial Gift, click Donate Now. Thank you for your support - Giving is Great Medicine for everyone.